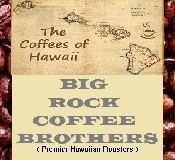 Hawaii Coffees are America’s oldest coffees and to most the World it's the best mountain grown coffee. 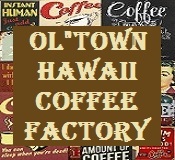 Purchase from the Island's best Coffee districts direct for the best Hawaii Coffee. In 1873, the world's fair in Vienna awarded, trader Henry an award for excellence, which gave some recognition to the Hawaiian name. Around 1880 Mr. Gaspar (Married to Maria), built the first and best Hawaii coffee mill in Hawaii near Kealakekua Bay. In 1892 the Guatemalan variety was introduced to Hawaii by German planter by the name of Widemann. Also about this time lady bugs (lady beetles) were able to control the scale infestation. Prices dropped in 1899 and 1900, which wiped out some remaining Hawaiian plantations. In 1916, production was about 2.7 million pounds, while sugar continued to expand. World War I in 1917 and a severe frost in Brazil in 1918 caused a world shortage, and prices rose. The "coffee belt" on the Big Island is approximately two miles wide from 700 feet (210 m) to 2,000 feet (610 m) elevation. Other districts on the island where coffee is grown include Kaʻū in the far south, Puna in the southeast, and Hāmākua in the northeast. Ship the best Hawaii coffee free for every order. Get ready to experience the truly amazing taste of the best Hawaii Coffee right now!